During the winter months I don’t mind making myself a second cup of coffee or tea to give myself a little caffeine jolt. However, once the weather turns warmer I just don’t enjoy a hot cup of coffee in the afternoon. Sometimes I’ll make myself an iced coffee as an alternative, but now that I’ve been introduced to a great caffeinated water beverage, I can enjoy a refreshing bottle of water while giving my energy level the boost it needs in the hot summer afternoons! I received a sampler pack of caffeinated water from Avitae. Each of the bottles holds different amounts of caffeine equivalent to a half a cup, a full cup, and their latest offering, a cup and a half of coffee. I like that the amount of caffeine in each bottle is clearly labeled, and comparing it in cups really makes it easy to understand exactly what you’re getting. The water is unflavored, and has a refreshing taste of pure bottled water. Late one afternoon while I was home with my boys I decided to try the 45mg bottle (the half a cup of coffee equivalent). I was hitting that 3:00 pre-dinner prep wall and needed just a little boost to get me over the slump. I had put the bottles in the fridge because I happen to like cold water, and soon after I had started to drink the bottle, I was feeling an energy jolt. It really made me feel as if I had some coffee, and I liked it! I have never had a caffeinated beverage before (outside of my coffee/tea) and I have to say, I really enjoyed it. I can see this product coming in handy during early morning commutes, on long car trips, during late afternoons slumps, or even pre-workout at the gym. 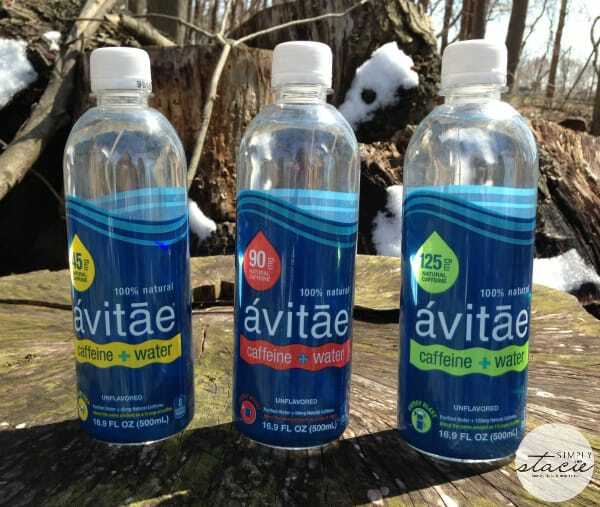 The Avitae caffeinated waters are all natural, made without any artificial flavors, and are zero calories. It’s a great alternative to sugary energy drinks, soda, and even coffee. Each bottle has an MSRP of $1.49 and can be found at Giant Eagle, Meijer, GIANT, Safeway, Whole Foods, Wegmans, Walgreens and on their website. Avitae Caffeine Water is the leading caffeinated water company in the United States. 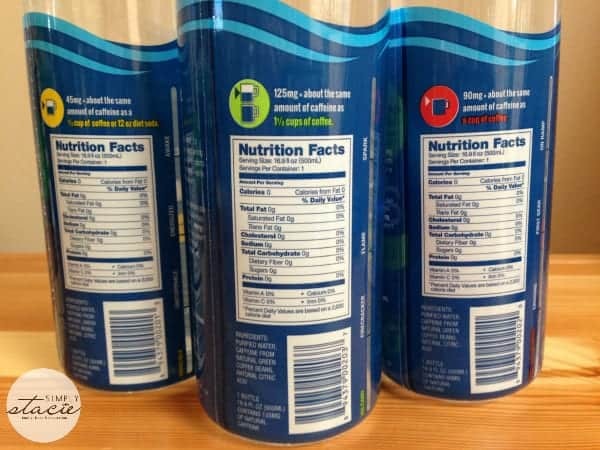 Their mission is to provide consumers with an alternative to less healthy caffeinated beverages and sugary soft drinks by providing healthy hydration with the caffeine lift you want. You can learn more about Avitae on their website.